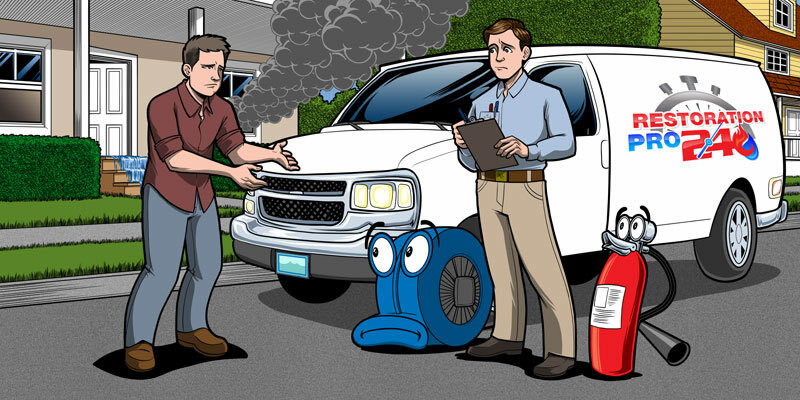 When you call Restoration Pro 24, our representative will ask several questions regarding your fire damage emergency. 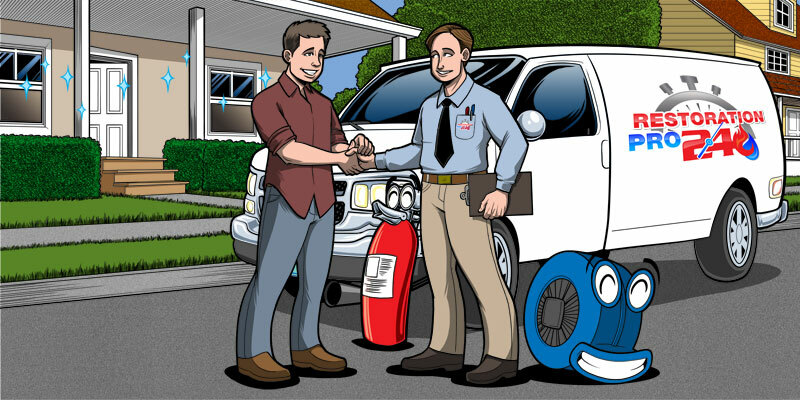 The information about your fire damage emergency will be dispatch to our field technician. 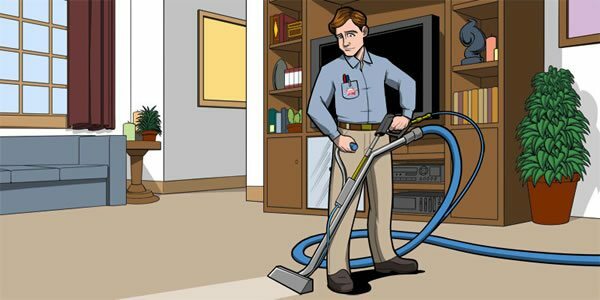 Our technicians will be properly equipped with the equipment to take immediate action. Upon arrival our certified fire damage and water damage technician will do a thorough inspection of the effected area. Once our inspection is complete we will give you our suggested plan of action and walk you through the process. We will work directly with your insurance company to ensure that you do not endure any cost and that your home or business is restored back to its original condition. 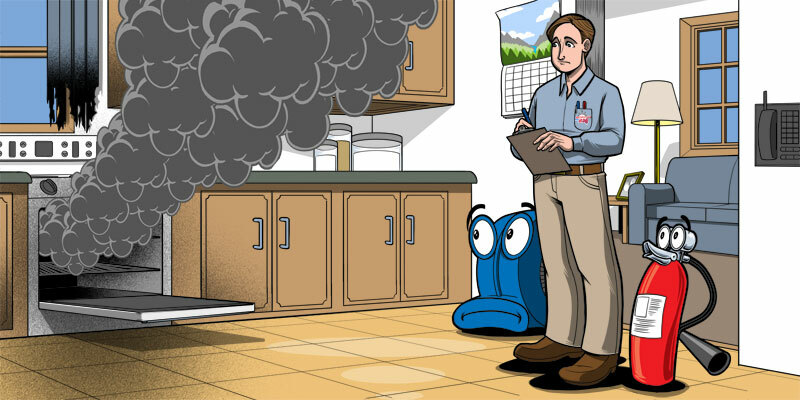 When you are dealing with fire damage or water damage, immediate action is crucial. 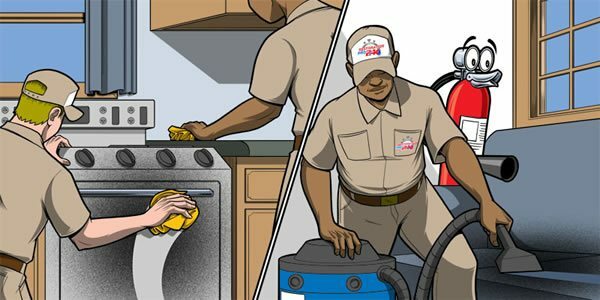 Restoration Pro 24 will respond immediately and use advanced equipment and techniques to remove the water and clean up the fire damage quickly. They closely monitor and document the drying process to verify your property is dried properly and thoroughly. We offer board-up services to keep your home secure after a fire has occurred. If a flood or fire has occurred in your home call us right away. We will get on site and create a plan of action. Time is very important when it comes to water and fire damage. We are near by and ready to serve you. Our house was flooded from a broken pipe. We had water ankle deep in our basement. Restoration Pro 24 came out in the middle of the night to help us. The guys were knowledgable and worked quickly. We hope we never have to but we would use them again. Agents are standing by to take your call. If your home has had a fire call now. We will be on site quickly to assess your situation. We will work with your insurance company to have them cover expense.